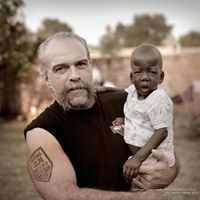 Join us on December 7th when “Machine Gun Preacher” Sam Childers joins us for our Friday night service. Sam is a former gang biker who now dedicates his life to God. He and his wife Lynn founded and operate Children’s Village Orphanage in the Sudan. Come and hear what God has done! To learn more about Sam, check out his website or Facebook page.